How might we encourage and teach busy university students to cook healthy food? Design a mobile app that focuses on inspiring and supporting users through the journey of learning and making new recipes. Rookie Chef is an individual studio project that tries to deal with the lack of food literacy in college students. Most of the college students are so busy at school work that they have to outsource their diet to other the food service providers which leads to unhealthy and expensive eating practice. How could design address the motivation of being healthy and saving money and leverage effective behavior change model to develop a service that helps college student build food literacy through cooking? Taking the first step is always the primary barrier to behavior change. 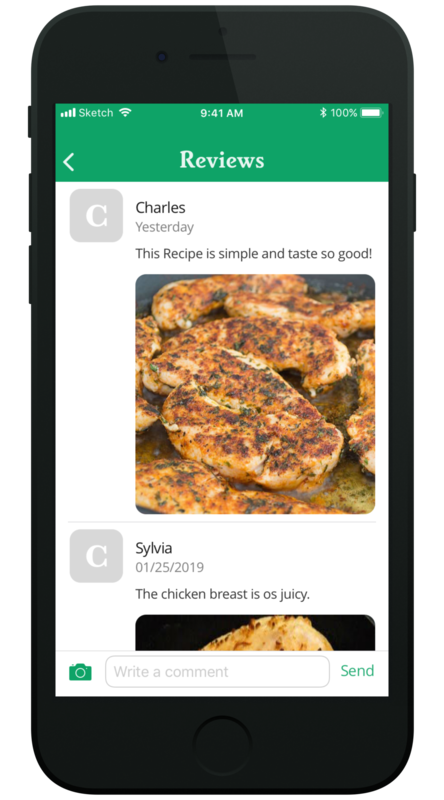 As a result, Rookie Chef provides attractive food photos and interesting daily-updated topic to engage users and inspire them to learn a new recipe. Furthermore, a result-upload feature could provide a sense of achievement and encourage users to keep cooking. Garlic and Onion should not be stored in the refrigerator. Fish is fresh if its eyes are clear...These are common knowledge for people who have some cooking experience but are less mentioned in most of the recipe book or app. Basic knowledge about food and cooking skill are the cornerstone to move forward. As a result, Rookie Chef provides short video explanations about these everyday essentials. People often look for meals that could serve certain social scenario rather than a specific recipe. As a result, Rookie Chef support contextualized search for users to look for recipes for breakfast, low carb recipes …etc. According to my research, many beginners are overwhelmed by the choices they have in the grocery store even though they have prepared a shopping list. Rookie Chef does not only provide handly shopping list feature but also information about the ingredients to support shopping experience. You can't learn something for just doing it once. 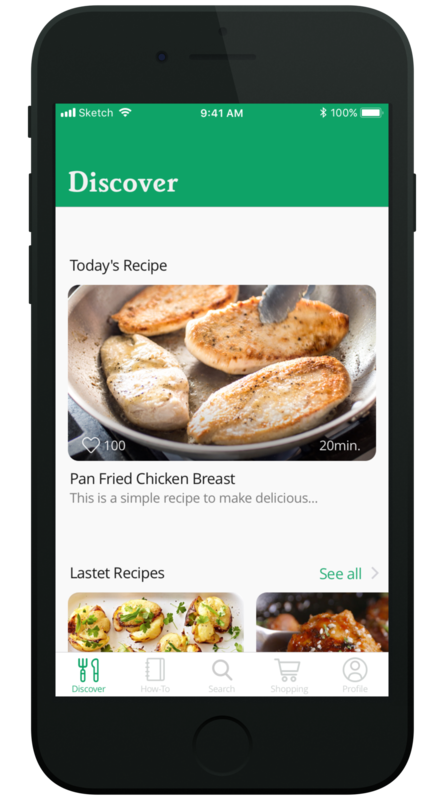 Rookie Chef provides archive feature for users to save their favorite recipe and useful knowledge so that they could look for them quickly. I interviewed 11 students at CMU. It is no surprise that lack of time is the primary factor. Another factor is lack of knowledge and skill. Even they want, they don't know how to start. I followed 3 students when they do their groceries. They all have essential cooking skill. One insight from the shadowing is that they always avoid using complicated recipes or buying unfamiliar produce. Purchase food that they don't know how to cook is a significant risk for them. kitchen wisdom - a unified understanding of how cooking works does not represent in the cookbook. "Learn how to cook through recipes just like trying to learn a language only by copying down others’ sentences." 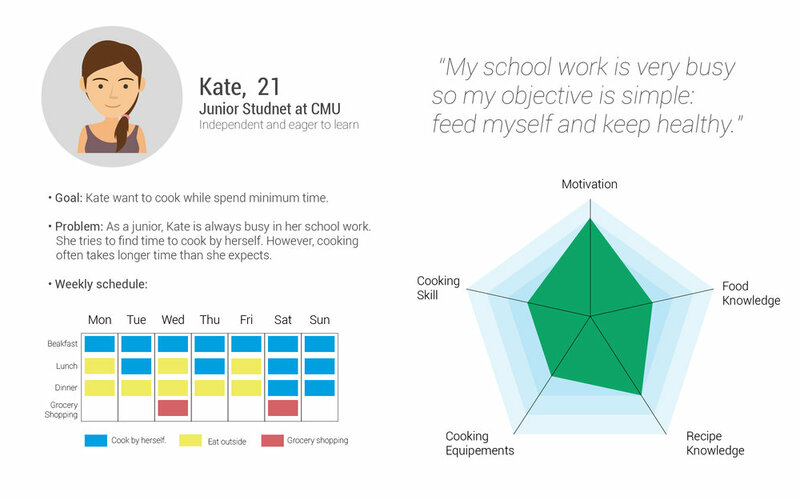 Based on the interviews and observation with the target group, students at CMU, I had built two different personas to guide my future iterations. To understand thoroughly about the barriers people encountered when they decide to learn a new recipe, I had mapped out the user journey which helped us come up with clear user scenarios that we could then take and design for. People like solution situated in a grocery shopping context. It provides real-time assistance helping them make the decision. Information about time and cost is essential for busy college students. The app should inspire people to explore new recipe and at the same time be provocative to make users take actions. 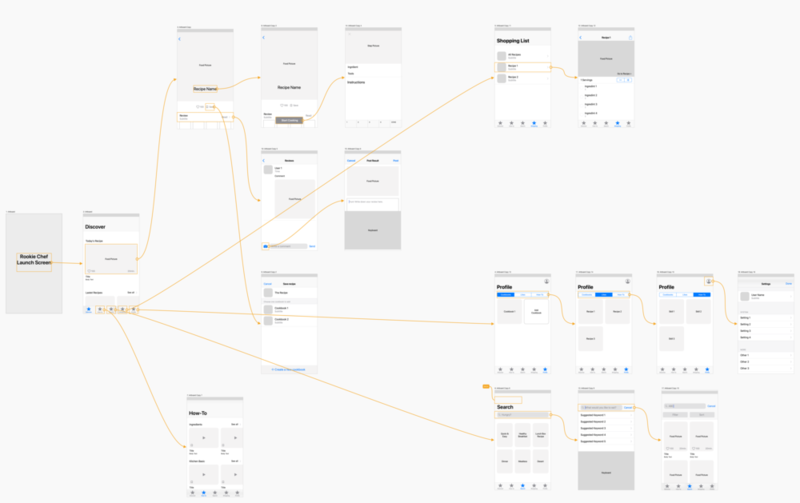 I mapped out the app pages to figure out how each paint point could be addressed through different user flow and at the same time be integrated into a simple and intuitive structure. After many late nights, I developed a set of high fidelity prototypes and asked for CMU students to test. My first round of feedback demonstrated there was real value in the app that could address students’ pain points and motivate them to cook. Narrowing down the skill level of my target group was a successful move. Since I was able to conduct in-depth user research and addressed their pain points by my design within six weeks project period. With insightful user research, the final design solution was different from a standard recipe app in the market. 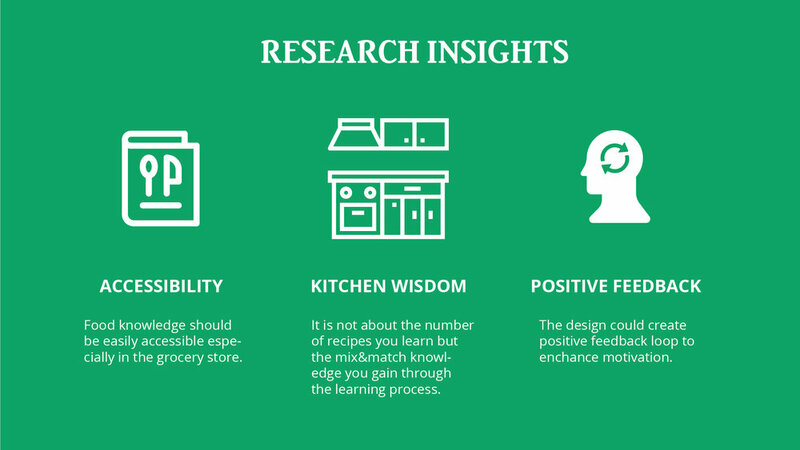 Features like supporting grocery shopping experience and contextualized search all add significant value to the design. I will bring the result of this project forward to my thesis study about addressing barriers for people to gain food literacy and empower users to make informed buying and eating choices.